Since my first trip to India about 1 year and 9 months ago yoga has become an indispensable part of my life. Not only it has helped to improve my total health tremendously, but also it has been serving as a lighthouse to live every single moment with more meaning, awareness and understanding. It was my honour and pleasure to spread the word of yoga on the occasion of International Yoga Day. 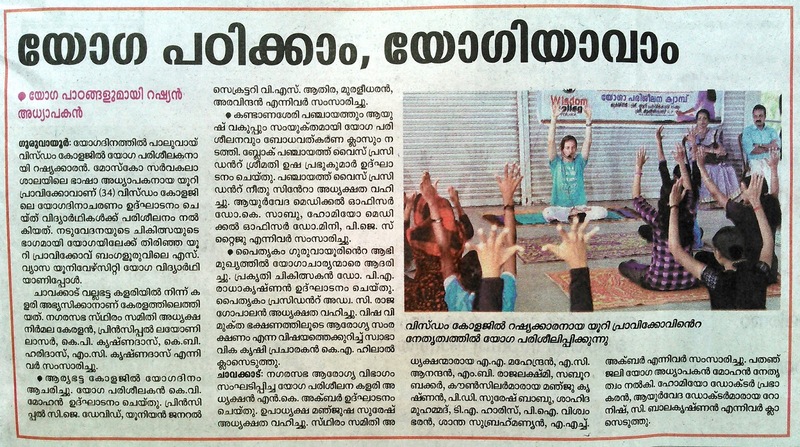 My biggest regards to Krishnadas Gurukkal and Dinesh of Vallabhatta Kalari, the administration of Wisdom College Paluvai for giving me the opportunity to be a messenger of yoga in Kerala, God's Own Country on this remarkable day. 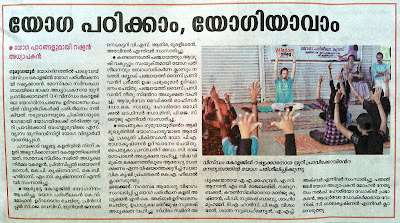 Playing low whistles for meditation during the yoga vacation course in Sivananda Ashram, Kerala.